The Canon EOS 5D Mark III is a brand new full-frame digital SLR announced exactly a month ago. The EOS 5D Mark III is the successor to the now-ancient EOS 5D Mark II which was released in Fall 2008. On the outside, the Canon EOS 5D Mark III has a design that’s pretty much in-line with Canon’s modern digital SLR design and doesn’t depart very far from the looks of its peers (Especially its closest relatives, the Canon EOS 7D and EOS 1DX). The Canon EOS 5D Mark III has more in common with more recent Canon digital SLR models than the 5D Mark II. The Canon EOS 5D Mark III has more physical controls than the Mark II, a nod towards its positioning as a professional digital SLR, and looks like a cross between the Canon EOS 7D (in terms of physical looks) and massive $6800 flagship Canon EOS 1D X (in terms of feature set, autofocus system and brand new 2012 Canon EOS user interface and menus). In short, the Canon EOS 5D Mark III has a feature set which sits close to Canon’s flagship which costs twice as much, while physically remaining small and light as the EOS 7D – quite an excellent combo. The Canon EOS 7D and old EOS 5D Mark II are both bestsellers in Canon’s EOS SLR lineup thanks to their great feature to price ratio. Today, we’re taking a close look at the Canon EOS 5D Mark III, a camera that could possibly be Canon’s next best seller to both photographers and filmmakers, compared to the much loved EOS 7D. If you’re not a super camera enthusiast, then you’re excused if you have a hard time telling between the Canon EOS 5D Mark III and its predecessor from afar. It’s easy to tell though; on the back, the Canon EOS 5D Mark III simply looks a whole lot like its sports-oriented cousin, the EOS 7D but from the front, you can spot the difference in the viewfinder hump shape and that’s where you can tell the two apart (the 5D Mark III has no built-in flash, hence it doesn’t have a protruding ‘nose’ where the Canon logo is embossed). But make no mistake, the brand new Canon EOS 5D Mark III targets a difference audience than the EOS 7D in terms of photography use and wallet thickness of its users (the Canon EOS 5D Mark III costs literally twice as much as the EOS 7D). The Canon EOS 5D Mark III features a new 22.3 megapixel full-frame CMOS image sensor which is physically larger than the EOS 7D’s 18 megapixel APS-C sized CMOS sensor and geared towards photography with high resolution in mind. Highlight features of the Canon EOS 5D Mark III include said 22 megapixel full-frame sensor (which has improved photodiode layout, gapless microlenses and better noise characteristics, which translates to improved high sensitivity image quality with lower noise), DIGIC 5+ image processor, 3.2 inch LCD with 1 million dots, new 63 zone metering system and 61 point AF (which seems to be the same one as the flagship EOS 1D X), ISO range of 100 – 25,600 which is expandable to 50 – 102,400, continuous shooting up to 6 FPS and Full HD video mode (with plenty of adjustable effects, external microphone and headphone support and more). The Canon EOS 5D Mark III caters to the same crowd as the original EOS 5D Mark II: Photographers looking for a high resolution full-frame camera with clean image quality and excellent low-light performance while doubling as a great video camera for filmmakers, movie producers and creators of music videos. Rest assured as availability increases, the Canon EOS 5D Mark III will be making its way into plenty of studios, landscape photographer’s hands and fashion shows (speaking of which, I’m sure we’ll be seeing some photos taken using 5D Mark III cameras later this year at New York Fashion Week and the Victoria’s Secret Fashion Show). Its direct competitor from team yellow, the Nikon D800, is a similar camera though the Nikon sacrifices high ISO for resolution (the Nikon D800 has a 36 megapixel sensor that tops out at ISO 25,600 while the EOS 5D Mark III here has a 22 megapixel sensor which maxes out at ISO 102,400). The EOS 7D, on the other hand, is a different beast. It has a smaller 18 megapixel sensor which is more pixel-dense (means it’s similar to how the Nikon D800 trades off some low-light capabilities/high ISO for more megapixels); the smaller APS-C sized sensor also means the EOS 7D has a 1.6X crop factor for all lenses, making lenses ‘more zoomed in’ which is good for sports and longer reach, but not so great for wide-angle and landscape shots. For instance, the Canon EF 24-70 mm lens becomes equivalent to 38 – 112 mm on the EOS 7D, whereas on the EOS 5D Mark III, you’ll get exactly 24-70 mm without having to throw in a multiplier. Combined with its perceived longer reach from the smaller image sensor, the EOS 7D and its ability to shoot at 8 FPS is great for shooting high-speed action and sports along with wildlife. However, the line between high speed (crop cameras like the Nikon D300S and Canon EOS 7D) and high resolution (full frame cameras like the EOS 5D Mark III) has started to blur with the EOS 5D Mark III. Seeing it inherits the more advanced 61 point AF system from the flagship 1D X (the EOS 7D only has 19 AF points) and has a respectable 6 FPS burst mode which is still pretty fast, I don’t see why you can’t use the EOS 5D Mark III for sports and high-speed action too… provided you’re willing to settle with less reach compared to the EOS 7D (or lower megapixels when cropped to achieve the same amount of zoom) OR buying and carrying bigger lenses to get closer to your subject, essentially to compensate for the EOS 5D Mark III’s lack of crop factor. We will probably see a Canon EOS 7D Mark II (or whatever the EOS 7D’s successor will be called) in the near future but the fact the 5D Mark III has the guts to perform well as a sports camera hints at the possibility of a ‘unified’ high-speed, high-resolution full-frame EOS 6D some 3 to 5 years down the road. Design-wise, the two cameras are similar as the front portion of the EOS 5D Mark III resembles the EOS 7D in button layout and function. The mono microphone is placed in the same position (above the model badge) and so are the shutter button, command dial and the M-Fn button. The difference is the EOS 5D Mark III does away with the sculptured ridge that cups around the command dial and M-Fn, which is just a simple design element change that doesn’t affect ergonomics. Much like the EOS 1D X, the EOS 5D Mark III does shift the DoF preview button originally placed at the bottom right edge of the lens mount to the left edge of the lens mount (towards the grip side of the camera). This makes a lot better sense in terms of ergonomics as the button is now reachable by your middle or ring finger without adjusting your grip; versus having to shift your left hand from the lens to reach the button in the old position. The button is also a lot bigger now which makes it easier to reach and press. At the top of the Canon EOS 5D Mark III are even more similarities to the EOS 7D (and 5D Mark II). The camera maintains the same row of 4 buttons (for metering/white balance, focus mode/drive mode, ISO/flash exposure compensation and top LCD backlight) along with their respective functions, which helps greatly when moving between the EOS 5D Mark III, EOS 5D Mark II and EOS 7D cameras. The status LCD on the top of the EOS 5D Mark III is quite a bit larger and also slightly more crisp looking than the one found on the EOS 7D. It now shows more information such as when HDR is enabled and image size options for each of the two memory card slots. But just like the 7D, the LCD backlight on the 5D Mark III glows orange when activated. The EOS 5D Mark III emphasizes its status as a professional camera by only having the four core modes: Program, Manual and aperture/shutter priority. There’s also a dedicated position on the mode dial for Bulb mode along with room for 3 Custom modes. If you don’t want to touch the camera’s settings, there’s Green Box “auto” mode (great when handing the 5D Mark III to a person who doesn’t know how to use it)… but quite obviously there are no scene modes of any sort. The 5D Mark III even does away with Creative Auto mode, a middle ground between manual adjustment and auto mode found on the EOS 7D and EOS 5D Mark II. The Canon EOS 5D Mark III comes standard with a mode dial lock (prevents accidental mode changing), where you will have to press a button while turning the mode dial to jump to another mode. 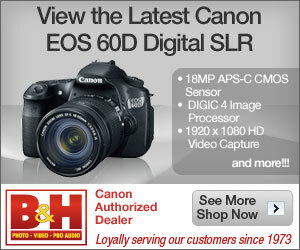 The mode dial lock is available as an aftermarket addon on the EOS 7D while it isn’t available on the EOS 5D Mark II. The power switch is located right under/behind the mode dial just like on the EOS 7D, though it is a tad lower profile on the 5D Mark III. The back of the Canon EOS 5D Mark III are where most of the changes are located. Though both cameras may look similar in terms of button count, the functions of each of those buttons have been rearranged slightly with the biggest change being the way photos are magnified in playback. First off, we’ll look at the LCD which has increased in size compared to the 5D Mark II and 7D (both have 3 inch displays with 920,000 dots); the EOS 5D Mark III has a slightly larger 3.2 inch display with 1,020,000 dots. The display is just as sharp when comparing the EOS 7D to the EOS 5D Mark III, except the latter has the advantage of having photos fit more perfectly into that 3:2 ratio 3.2 inch screen. The EOS 5D Mark III’s display also appears to have additional anti-glare coating of sorts, which makes it slightly clearer when viewed outdoors/in bright light. The right side of the Canon EOS 5D Mark III is near identical to the EOS 7D. Versus the old 5D Mark II, the EOS 5D Mark III has gained the quick start/stop + live view/movie mode toggle switch first seen on the EOS 7D and Q-button for bringing up the Quick Control screen. The ambient light sensor for screen brightness and speaker have both been moved down to a new place below the LCD of the 5D Mark III. The Canon EOS 5D Mark III has a smoother and quieter (the latter being important for silently adjusting settings while recording video) quick control dial compared to the EOS 7D and previous models and the SET button in the middle of it feels a lot ‘fluffier’ like on the 1D series which is a good thing. An invisible addition on the 5D Mark III’s Quick Control dial is the ‘gutter’ around the SET button and ridges on the wheel is now touch sensitive (in a way that is similar to the classic iPod and some of Canon’s IXUS/ELPH models) so there is now a way to manually adjust audio levels without compromising or reassigning existing dials and buttons. The left side of the Canon EOS 5D Mark III are mostly playback controls, except the Menu and Info buttons to the upper left corner and new picture mode button (which brings up options to change Picture Style, multiple exposure and HDR settings). Two new playback highlights on the Canon EOS 5D Mark III, which are not found on EOS models prior to this 5D and the 1D X are the ability to ‘rate’ photos based on stars (on a 1 to 5 star scale) and stars actually show up in image EXIF data, and comparing two photos side-by-side on the screen. The EOS 5D Mark III also has a new way of triggering playback zoom/thumbnail view, which is similar to what Nikon does on their digital SLR cameras: hold the ‘zoom’ button and use the command dial to zoom in/out. This will probably be the greatest departure for Canon EOS users who have been relying on the upper right corner buttons for years, and being EOS 7D user for a decade myself, it takes some getting used to. Both cameras have identical layout of elements on both sides; memory card compartment on the right side, dual rubber doors for connectivity ports on the left. The Canon EOS 5D Mark III has a distinct advantage of having dual memory card slots, a feature that was previously reserved for Canon’s 1D series cameras. Unlike the Canon EOS 1D X which has twin Compact Flash card slots, the Canon EOS 5D Mark III has one Compact Flash and one SDHC/SDXC card slot; this is still an improvement versus a single Compact Flash card slot on the 7D and old 5D models. It’s interesting to note that the Canon EOS 5D Mark III’s CF card slot only supports Type 1 CF cards (the standard slim cards majority of modern photographers have been using) and abandons support for the outdated Type II/Microdrive format. Most people will not notice and can happily use the EOS 5D Mark III with their cards, but the act of dropping support for thicker CF cards will serve as a reminder to folks still using those ancient formats to buy modern and high-speed cards. The ports available on both the EOS 5D Mark III and EOS 7D are USB + A/V (2 in 1) connectivity, HDMI, flash sync port, external microphone port and cabled remote shutter release port. The EOS 5D Mark III adds a headphone port, a nod to the EOS 5D Mark II’s success among videographers and movie makers, so you can now monitor audio being recorded live and directly on the camera as filming rolls. Find out more about the Canon EOS 5D Mark III when we post our in-depth review of the camera soon. Here are some photos taken using both the Canon EOS 5D Mark III and Canon EOS 7D at the exact same spot and same time (within seconds of each other after swapping lenses). The lens used was a single Canon EF 24-70 mm f2.8L USM, used on both cameras. The Canon EOS 5D Mark III produces very clear and crisp photos at low ISO; it has a base ISO setting of 100 though it can be lowered to ISO 50 via the expansion function. With the exact same lens used on both cameras, you can immediately see the EOS 5D Mark III has an advantage in sharpness and detail, as well as slightly better dynamic range (the pavement is less blown out than on the EOS 7D). Using the same exact Picture Style option (Standard with default settings), the EOS 5D Mark III also produces results that have slightly more contrast than the EOS 7D, which is a love it or hate it type of thing and up to you to adjust in the Picture Style menu. Again we see the EOS 5D Mark III with its advantage in clarity here. In moderately lit indoor conditions with fewer fine details to capture, the EOS 5D Mark III and EOS 7D are competitive with each other in terms of sharpness and detail levels. However, you can see the EOS 5D Mark III has an upper hand here in terms of noise; where the sample from the 5D is practically noise-free at ISO 640 while the EOS 7D begins to show light color grain at the same setting. Over here, we can see the winner is, yet again, the EOS 5D Mark III. It’s no surprise considering the EOS 5D Mark III has a pixel pitch of 6.3 micrometers, which is much higher than 4.3 micrometers EOS 7D. However, in this sample, the EOS 5D Mark III looks like it’s on the verge of overexposing while the EOS 7D does it just right and does win out on dynamic range in rare occasions like this one. The Canon EOS 5D Mark III and Canon EOS 7D perform quite competitively with each other and both are prime candidates for making large, clean prints and outputting great image quality. But it cannot be hidden that the EOS 5D Mark III produces sharper and slightly more detailed results thanks to its higher resolution and larger sensor. No doubt the 2.5 year gap between the release of the EOS 7D and last month’s arrival of the EOS 5D Mark III also played a part in the difference between the two; the EOS 5D Mark III has a newer and faster DIGIC V image processor, presumably with improved processing characteristics too, and more modern image sensor technology. Settings used: All default settings with high ISO noise reduction OFF (disable setting). The low noise advantage of the EOS 5D Mark III starts out as early as ISO 640 against the EOS 7D and older models, as seen in the previous section. Over here at ISO 1600, the 5D Mark III has a 1/3 stop advantage in terms of noise. It’s obvious, even on paper when comparing pixel pitch, that the EOS 5D Mark III will beat the EOS 7D in noise levels and detail, but the EOS 7D holds its own fairly well at ISO 3200. I’ll remind you again that this isn’t exactly a fair comparison since the EOS 7D is a 2.5 year old model geared for sports and fast paced shooting while the EOS 5D Mark III is a freshly launched face waiting to be bought by the truckloads by portraiture, wedding and fashion studios as well as landscape photographers; a big generation gap and two very different types of photography. At this point, the EOS 5D Mark III begins to pull away from the EOS 7D with extremely usable image quality (you could easily print posters at ISO 6400 with little to no visible compromise in detail and quality). You can still make out the ‘lock’ symbol on the photo taken using the EOS 5D Mark III while it’s hard to tell what the symbol is on the EOS 7D. The EOS 5D Mark III has a 2/3 to 1 stop advantage over the EOS 7D (as well as the EOS 5D Mark II) when using much higher ISOs like over here, at ISO 12800. The 5D Mark III also produces more ‘desirable’ image quality characteristics with suppressed color noise and artifacts. ISO 25600 on the 5D Mark III rivals ISO 12800 on the EOS 7D which is awesome news for low-light shooters. Although it looks messy here, taking pictures in RAW and processing them later will make a great difference in turning a grainy photo into a keeper. Of course, there comes a sacrifice in finer detail levels, which is expected for an ISO setting this high – perhaps the EOS 5D Mark IV will improve on this and make it a non-issue some 3 to 4 years down the road. The last two settings on the EOS 5D Mark III come under ‘expanded ISO’ territory, which basically means they aren’t part of the base ISO range of the image sensor; it’s camera which underexposes things by 1 or 2 stops respectively, then ‘boosts’ exposure back up to become proper again. But as if ISO 25600 wasn’t noisy enough, get ready for some sheer grain and color noise insanity at these two settings. Unless you’re absolutely desperate to get THAT shot in an extremely poorly lit environment, it’s best to save these two high settings for achieving ‘film grain’ effects in photos… which also reminds me, that the EOS 5D Mark III has a limit of ISO 25600 when shooting movies. The Canon EOS 5D Mark III excels at shooting in high ISO, which is delightful news for wedding and studio photographers, and other folks who shoot in not-so-well-lit conditions. The camera is not without its limit though, as ISO 25600 is the ceiling if you want anything usable out of the camera. At ISO 51200 and ISO 102400 (called ISO H1 and H2 respectively on the camera’s expanded ISO scale), photos become a noisy mess and, depending on shooting scene, there’s a chance of visible banding at ISO 102,400; these two settings will do just fine if you’re aiming for a ‘film grain’ type of look when shooting in monochrome though. We’ve posted write-ups about our experience with the Canon EOS 5D Mark III so be sure to check out the full review, menu review and photo galleries below. Great comparison, I find it very convincing for the low ISO shots. The high ISO comparison however seems a bit unfair to me. If I e.g. take the ISO 640 pictures, you are shooting both cameras at f8. But since a crop camera has more DOF with same f stop, you could go down to f5.0 with the 7D, and decrease ISO. This would make the difference in quality much less dramatic. In fact, I would expect noise levels to be almost the same.